I love reading skyscrapers. 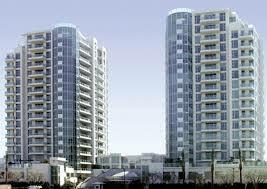 By that I mean, looking at them and and guessing their date of construction by their shape and design. It's not a perfect science, but it works pretty well no matter what big city you're in. 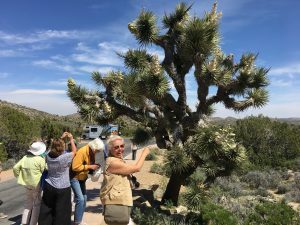 This is what we do on my favorite tour - the LA SKYSCRAPER TOUR BY TRAIN. Skyscrapers are our country's most visible, iconic buildings, and LA has some beauties designed between 1899 and the present day. The first skyscraper was actually built in Chicago in 1885. 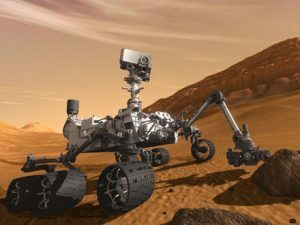 Since then, they have grown taller and more dramatic, progressing through visible design changes depending on the decade. Learning to spot these design eras was the goal of my recent LA Skyscraper Train Tour (in addition to just plain having fun!). My wonderful tour group admiring skyscrapers on Bunker Hill. 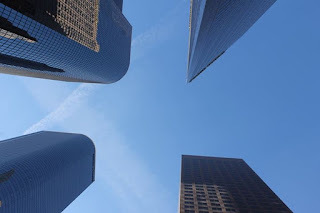 Los Angeles has an increasingly impressive skyline with wonderful examples of every stage of skyscraper design. 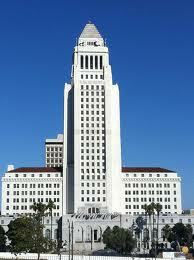 My intrepid group of 25 Hoffy Tour enthusiasts craned their necks to study and marvel at LA's diverse skyscrapers. The tour included round trip on Amtrak's business class (wine, snacks, coffee and our own car! 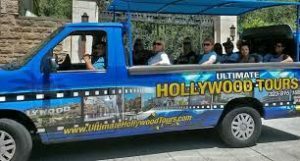 ), a quick subway ride on the Red Line to Pershing Square, and a ride to the top of Bunker Hill on the charming Angel's Flight funicular. So let's cut to the chase. 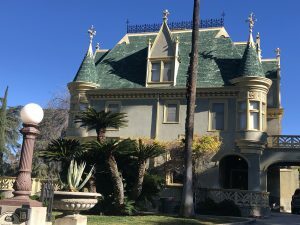 So here are the major design eras of LA's and the nation's "'scrapers"! 1) First Stage - Beaux Art: Building as Column: A Three-Part Classical Design - Early American skyscraper designers were often trained at the Paris School of Fine Arts ("Beaux Art") where they were encouraged to articulate their buildings with classical features. In many cases, the building's composition was that of a classical column with its three-part design: base (often embellished with enhanced entry, larger windows and surface decoration); shaft (a fairly plain, elongated middle of the building); and capital (a richly detailed "crown" with a cornice and window pediments). 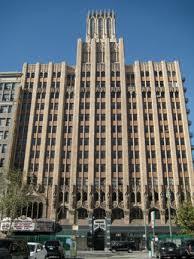 favorite building of the architect in the movie "500 Days of Summer". Beaux Art style - A slightly more recent example of the three-part classical design of base, shaft and capital. 2. 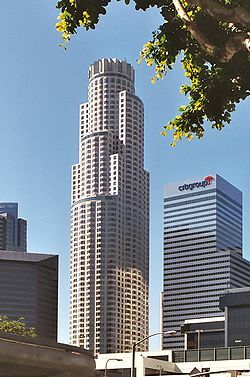 Stage Two: Skyscraper as Cathedrals of Commerce/Palaces (1910-1925) - In many cases, early skyscrapers were designed to advertise the business they represented. These "cathedrals of commerce" could pose as Italian palaces or Gothic Revival Churches as the Woolworth Building in Uptown, New York City. Los Angeles' best example is the United Artists Theatre Building whose Gothic Revival tower could be seen for miles on Broadway. It looks like a giant cathedral. typewriter magnate, the 38-story tower was the tallest west of the Mississippi until 1931.
looks like a gothic cathedral. 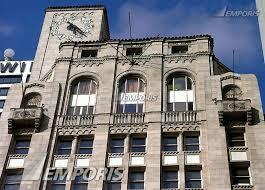 The Oviatt Building looks like an Italian palace. 3. Stage 3: Skyscrapers as Wedding Cakes - New York's "set-back" style: During the 1920s and 30s, skyscrapers changed shape and added decoration. As they reached for the sky, skyscrapers became narrower and narrower - like ancient Sumerian ziggurats - allowing more light to the street and allowing architects some design flair. This tapered look originated from New York City's 1916 zoning code which reacted against skyscrapers went straight up from the sidewalk, robbing the street of light. narrower as it reaches for the sky. 4. Stage 4: Early Modernism/International Style - Skyscrapers as vertical, flat-topped rectangles: 1950s-1970. 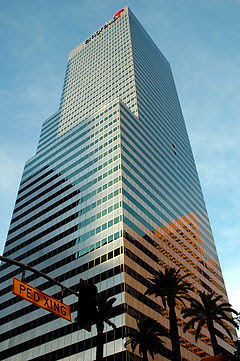 With improvements in technology, demand for more office space and tastes favoring little to no ornamentation, skyscrapers became large, abstract volumes. The term "International Style" was coined because skyscrapers of the 50s and 60s looked basically the same all over the world. 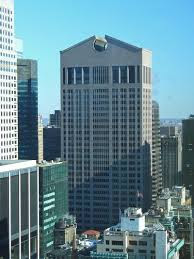 Some "scrapers" were sheathed in glass from bottom to top, giving rise to the term "glass curtain wall". Typical modern skyscraper from 1973 and one of first on Bunker Hill in LA. Recessed vertical windows were somewhat unique for this time period. A.C. Martin & Assoc. Architects. International Style skyscrapers from 1972. 5. Stage 5: Later Modernism: Breaking up the Box & Reflective Glass 1970s -early 1980s - Some time around 1970, architects began to break up the boring geometry of the rectangular skyscraper. They experimented with more interesting shapes, tops and surfaces. 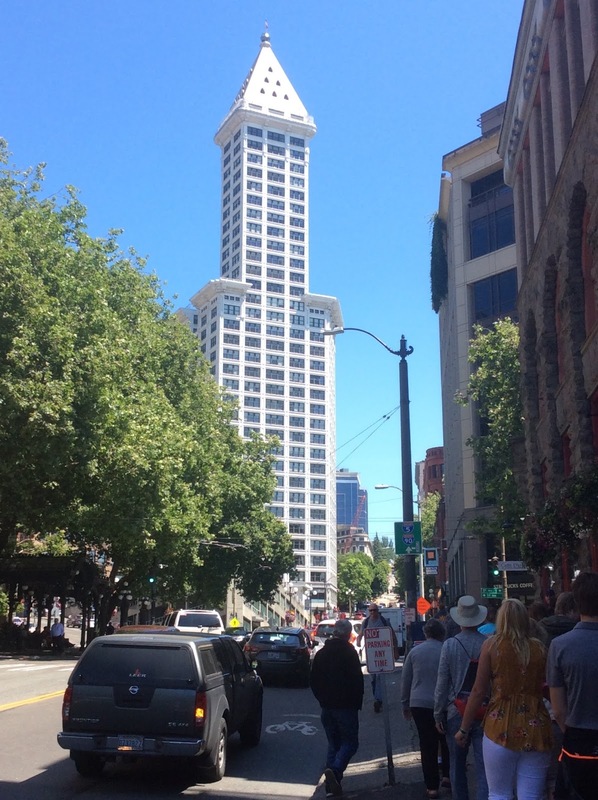 Skyscrapers became pointy, trapezoidal, angular, even curvy. Reflective glass became popular, most famously with the hotel designs by John Portman. These shiny "'scrapers" reflected the clouds, sun and other buildings, and were built all over the world. 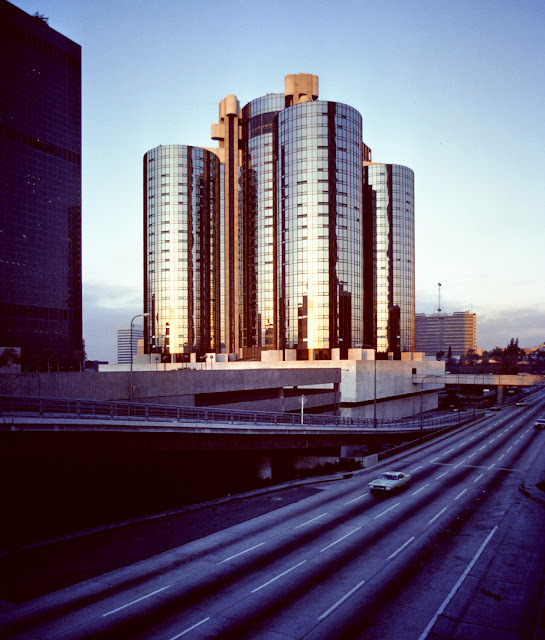 John Portman's dramatic reflective glass skyscrapers of the 1970s. LA's Bunker Hills shows gorgeous late modern skyscrapers from the 1980s and 90s. 7. Stage 6: Post-Modernism - 1980s The period of architecture called "post modern" also influenced skyscrapers. 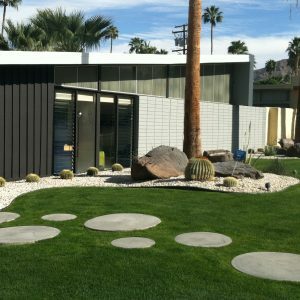 This period featured playful cultural, historical and contextual references in buildings and clearly moved away from the austere glass curtain wall of the 50s and 60s. One of the best examples is Phillip Johnson's ATT Building in NYC which featured a chippendale top or cornice. It's hard to design subtle cultural references 800 feet in the air though, so post-modern skyscrapers were few and far between. Chippendale top, is the classic example of skyscraper postmodernism. 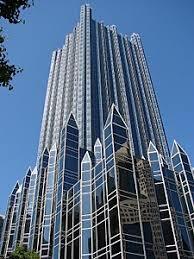 One PPG Place, built in 1981, is a good example of post modernism. and accordion-style top evokes Art Deco designs. 8. Stage 7: Contemporary Shapes: Skyscrapers are fun again! Skyscrapers of the 21st century are reaching for the sky. Taller than ever, they seem to have more interesting surfaces, shapes, and tops than ever before. Of course, they are also harder to classify. Whether they are "High Tech", "Deconstructivist", Green buildings or ultra-modern, I've noticed that many new 'scrapers have more interesting and articulated surfaces rather than plain glass curtain walls. Some skyscrapers are using a more translucent, insulated ceramic glass which gives the structures a more delicate look than the reflective glass of the 70s. All these change are for the good. It's clear to me that we love skyscrapers more than ever! its 40-year-old flat roof requirement for helicopter pads. Bring on the fun shapes, architects! Many modern residential skyscrapers have interesting surface articulation with balconies, vertical piers and varying colors. Stage 7 - Skyscrapers as high tech, complex articulated beauties - 1990 to present. Look up, my friends, for now you can read the skyline! See you on the next tour!